Before I get started talking about Webkinz, you may be wondering what in the world Webkinz could possibly have to do with reading. Actually, the Webkinz World website has a lot to offer in the area of literacy. It wasn’t until I got a Webkinz animal of my own that I realized how complex the world of Webkinz was. As a lover of word puzzles, I soon discovered some games on the Webkinz World website that were actually pretty challenging: Quizzy’s Corner, Quizzy’s Word Challenge, and now the Eager Beaver Adventure Park. 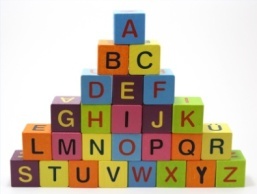 And Lunch Letters is a game that not only deals with words, but also helps kids improve their typing skills. By the way, the main reason I originally bought a Webkinz animal of my own was to be able to participate in Webkinz World along with my son. But once I bought Daisy (my pink poodle), it brought back memories of all the stuffed animals I owned as a child – and I had a lot! My favorite was a white Morgan dog that I got when I was less than 2 years old, and carried with me everywhere I went for the next several years! I definitely preferred stuffed animals over dolls. Back in the summer of 2007, our family made a trip back east to visit my husband’s daughter and her family. Her oldest daughter, Maddie (then 7 years old), owned a virtual animal through Webkinz World. Maddie not only owned a virtual dog (I think it was a beagle) that she clothed, fed, and played games with; she also owned a stuffed animal that matched the online version perfectly. Maddie could even visit the Webkinz animals belonging to her friends – online! I didn’t pay too much attention at the time, but I did try to sign up my son for the site when we got home. However, since we didn’t have broadband (we were one of those rare families still using dial-up), my son didn’t have access to the site anyway. About five months later, our family finally joined the ranks of households able to go online without hearing that irritating dial-tone. Yes, we finally got broadband! 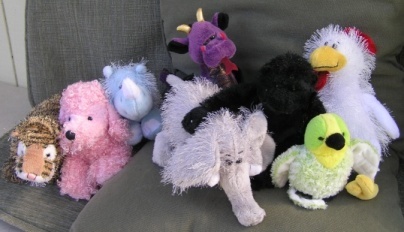 Webkinz animals first appeared on the market in 2005. 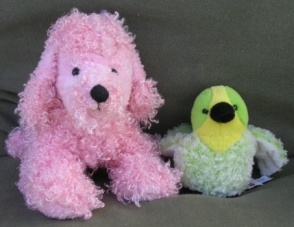 Created by Ganz – a plush toy manufacturer since 1950 – the idea for Webkinz originated with the company’s chief executive (now president), Howard Ganz. Since then, these plush toys have seen a phenomenal increase in popularity. The ongoing success of Webkinz pets and related merchandise has allowed the Ganz family to launch the Webkinz Foundation, a charitable organization focused on supporting programs for children worldwide. Howard’s daughter, Mindy Ganz, currently heads the Webkinz Foundation. One of those programs, All About the Kids, was started in fall of 2007. As of May 2008, Ganz had already donated over 17,000 Webkinz and 100 laptops to 39 hospitals in the United States and 17 hospitals in Canada, helping to make many children’s stays in those hospitals a lot more fun. One great website I found is Everything Webkinz.com. This website even has recipes and a page where Webkinz owners can post videos of their critters! WebkinzMomz.com is a blog for moms of kids with Webkinz World animals(although I’m sure even if your kids are NOT into Webkinz, moms would still be welcome). As the note at the bottom of the blog site says: "Webkinz talk for Adult Fans of Webkinz. Moms need a place to hang out, too! We love our Webkinz pets!"